The Danish private equity fund Capidea has become the new majority shareholder in FlexoPrint Holding ApS, which owns a number of companies in Denmark and Germany that together make up the FlexoPrint Group. 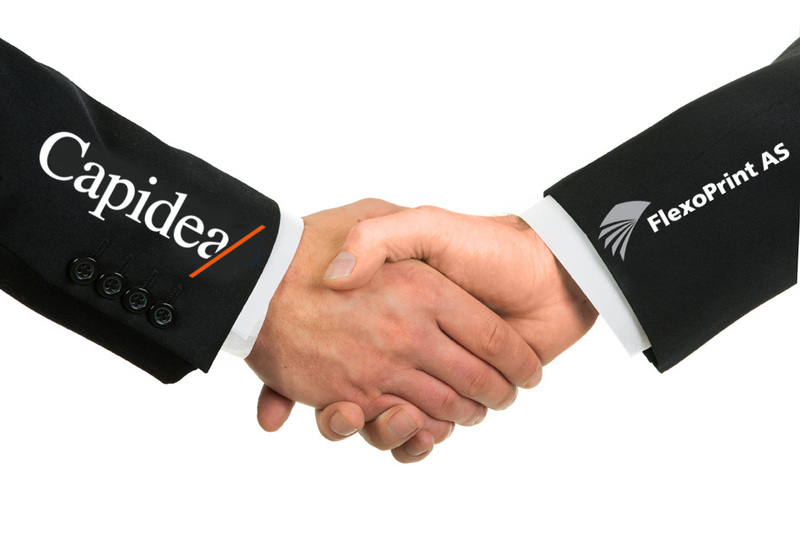 With the investment in the FlexoPrint Group, Capidea will take part in the continuous growth and development of the company in partnership with the management and the other shareholders. Founder and former majority shareholder, Svend Lynge Jørgensen will continues as shareholder and Chairman of the Board of Directors. Lars Ole Nauta will also continue as shareholder and will after the transaction become CEO of the FlexoPrint Group. “We wanted an investor who would be able to continue the positive development of the company and who could take part in a generational succession of the former ownership group. The FlexoPrint Group has in recent years had a solid growth in revenue and earnings due to both organic growth and addon acquisitions. I have been very pleased with the company’s development and I look forward to additional growth in the coming years together with Capidea”, says Svend Lynge Jørgensen, Chairman of the FlexoPrint Group. CEO, Lars Ole Nauta continues: “I am pleased that we have found a partner in Capidea with extensive experience from other companies as well as knowledge from related industries. We believe that there is a good match between FlexoPrint and Capidea”. “The FlexoPrint Group has a strong position in a solid market, a strong management team and dedicated employees, which together form a good platform for continued profitable growth. The company has gained strong customer relations based on a large commercial focus, with a customer centric approach. We look forward to taking part in the continued positive development of the FlexoPrint Group”, says Henrik Normann Karlsen, Associate Partner in Capidea. FlexoPrint is among the leading producers of self-adhesive labels in Denmark focusing on solutions for FMCG and logistics companies. The company also has sales in the remaining Scandinavian markets and additionally has two subsidiaries in Germany, H&P Etiketten GmbH and the recently acquired TOM Etiketten GmbH, which focus on the German market. The customer base comprise of companies within food and beverage, retail chains as well as wholesalers of label solutions. 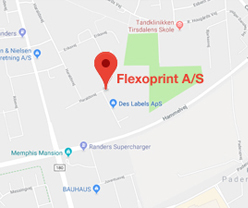 The FlexoPrint Group is headquartered in Randers and has a little more than 100 employees. The company has production facilities in Randers, Denmark and in Salzbergen and Greven, Germany. DES Labels ApS and the 50% owned TJ Partner – Tryk I/S will continue to be part of the FlexoPrint Group following the transaction. For additional information regarding the FlexoPrint Group, please see www.flexoprint.dk. Capidea is a Danish private equity fund making long-term investments in competitive small and medium-sized Danish companies. Capidea was established in November 2006 and has a total capital commitment of approximately DKK 2.3 billion / EUR 305 million in three funds. Capidea’s investor base includes the European Investment Fund (this operation benefits from a guarantee from the European Union under the European Fund for Strategic Investments), Dansk Vækstkapital II, Nordea Liv & Pension, Nykredit, Jysk Holding, Hanssen as well as a group of other blue chip companies and private individuals who are an active part of Capidea’s network. Capidea invests in companies within trading, distribution, service and manufacturing. Since 2006, Capidea has acquired 18 companies with a total turnover exceeding DKK 5 billion / EUR 670 million. FlexoPrint is the second investment in Capidea’s latest fund, Capidea Kapital III K/S, which was established in December 2017 with a capital commitment of DKKm 750 / EURm 100 in a first close with the possibility of additional capital commitments in a second close. For more about Capidea, please see www.capidea.eu.